Click here to view this newsletter on our website. 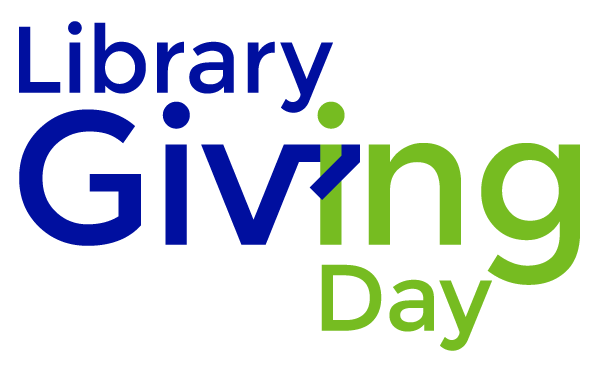 It's the first annual national day of giving for libraries, and we're on board! 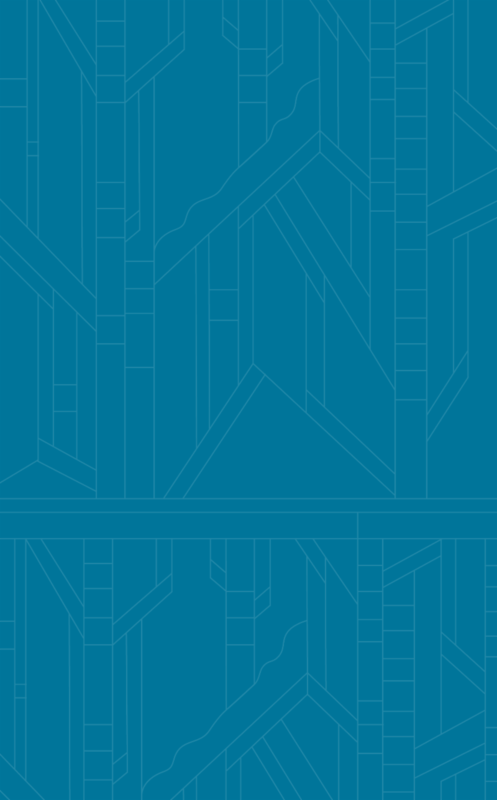 Wednesday, April 10 is the big da y, and your gifts are doubled with a matching gift from a generous supporter who says, "Everyone in this town comes through the Library at some time. The community believes that this is truly their library, a community resource for all." Champion your library and your dollars will be doubled up to $5,000 now through April 10. Be sure to indicate that your donation is for Library Giving Day. Your s upport leads to a broad range of free programs, services, and a robust collection. Plus, we have the best meeting spaces in town. Please participate by clicking the link, or stop by on April 10 to make your gift and meet the Board of Trustees. Thanks for your support! Rayna Griffin is a regular patron, a generous donor, and she has a gift unlike many. 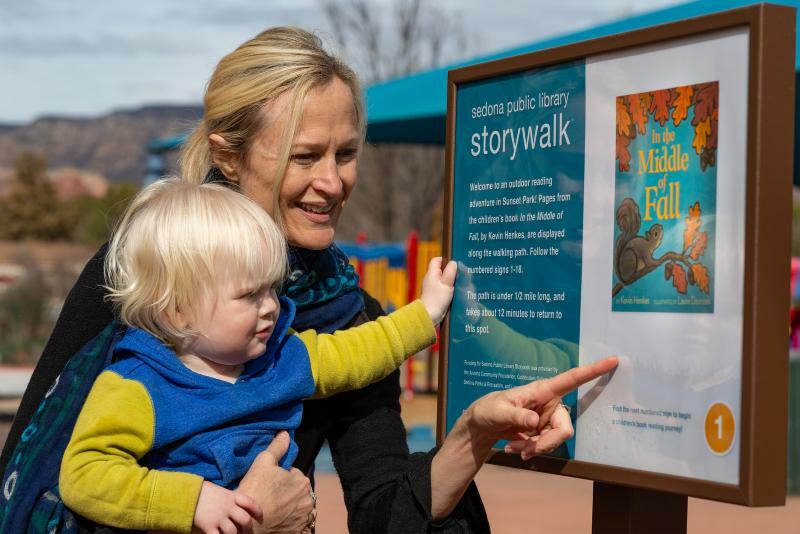 Her effervescent enthusiasm for all things Sedona Public Library is contagious. 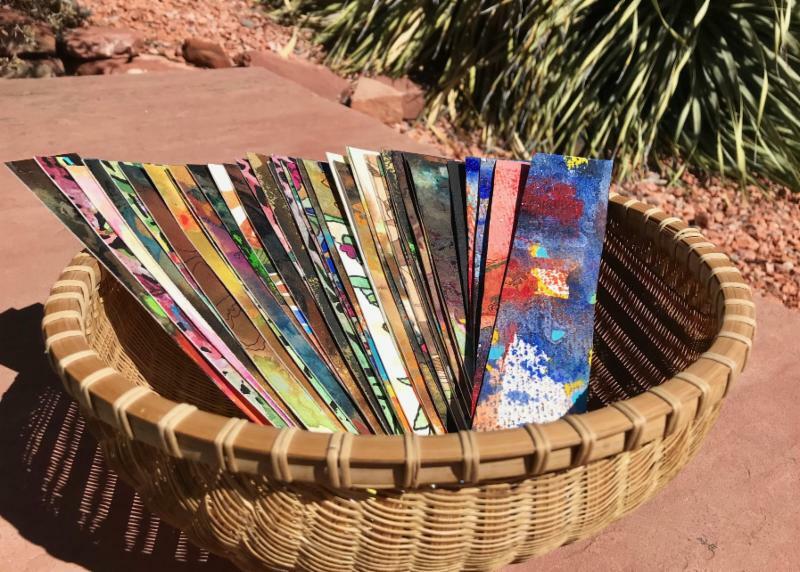 Recently, this painter and book lover offered her wonderful artistic talent by providing a beautiful assortment of handpainted and signed bookmarks. A donor of $50 or more in the Library Giving Day Campaign will receive one of these bookmarks. So not only is your gift doubled by a donor's matching contribution, but your reading gets gorgeous when you mark your page with one of Rayna's colorful creations. Thanks, Rayna, for your spirited and artistic generosity!  Sedona Public Library maintains an abundant magazine collection with over 150 titles . While new magazines are for in-Library reading, the older issues can be checked out. We have pubilcations you might expect, but we have several titles you might not, including The Nation ; The Sun ; Solar Today , Dwell, Rolling Stone , and many more. Our new assistant director, Judy Poe, noted, "This is a fantastic collection. I'm impressed." 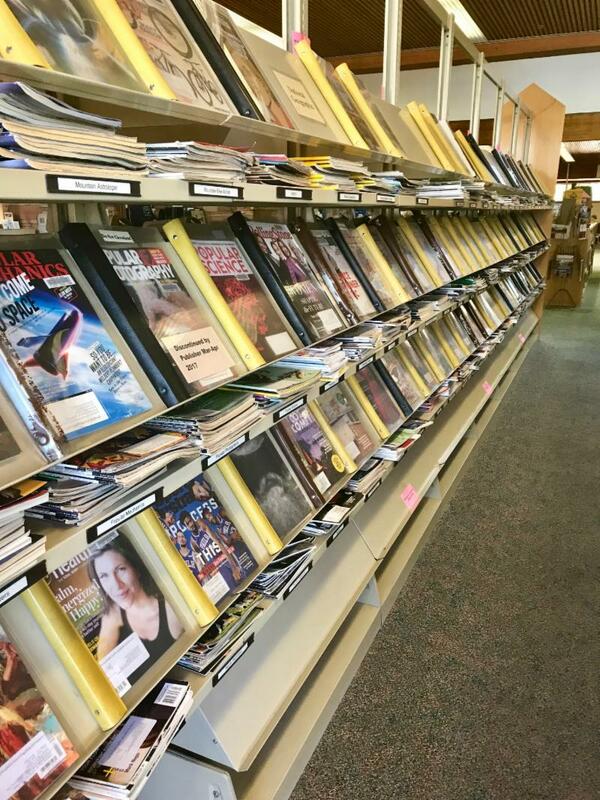 The vast assortment of magazines represents another way that Sedona Public Library puts your support to good use. Stop by and pick up a copy of your favorite, stay and read for a while, and introduce yourself to Judy. She's excited to meet patrons and is always happy to make a recommendation for a good read. Sedona Public Library will launch Kanopy this April! This popular on-demand film streaming service provides thoughtful entertainment, and it's free for all Library card holders. Starting in April you can sign up to stream from most computers, televisions, mobile devices, or platforms. 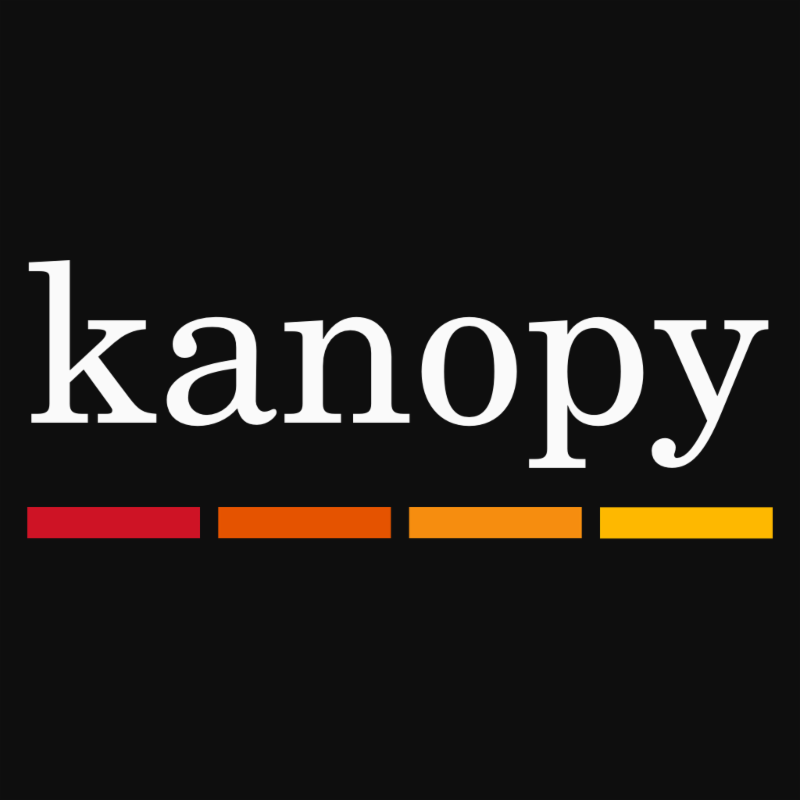 New York Times calls Kanopy “a garden of cinematic delights.” Kanopy showcases more than 30,000 of the world’s best films including award-winning documentaries, rare and hard-to-find titles, film festival favorites, and indie and classic films. It is because of donors like you that Sedona Public Library can increase what we offer including this exciting new opportunity. Watch for this free service next month. 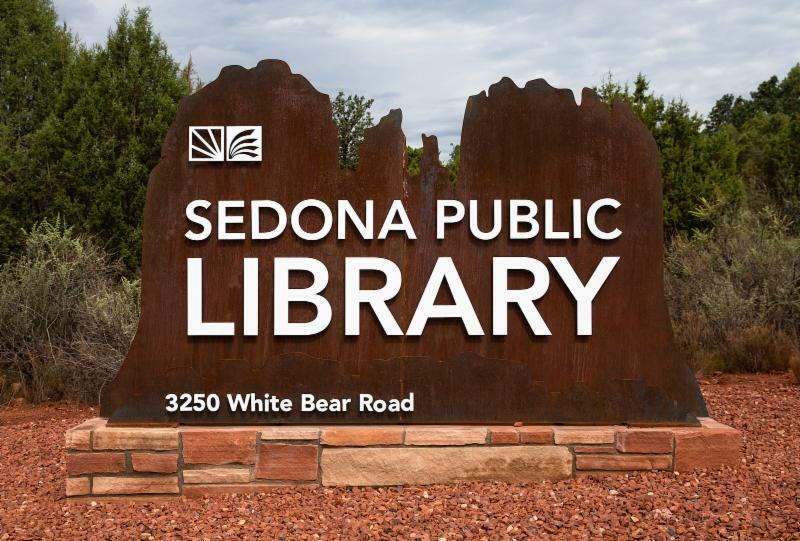 Sedona Public Library enriches lives by fostering lifelong learning and by ensuring that every member of the community and visitors have access to engaging ideas, information services, and cultural and civic activities.